On April 1, 2014, Chris Morrow was appointed as the Managing Senior Partner for Mullen & Filippi's Los Angeles office. Chris has practiced law in the area of workers' compensation since 2002 when he was hired at the Firm. He represents employers, third-party administrators, and insurance carriers with respect to workers' compensation claims and related matters. Chris also represents employers with respect to allegations of serious and willful conduct and unlawful discrimination pursuant to Labor Code Section 132a. 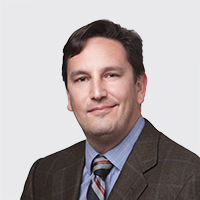 Chris started his career as an attorney at Mullen & Filippi's San Francisco office in 2002. In 2004, he returned home to Southern California, working for 5 years as a workers' compensation defense attorney for another statewide firm. In May of 2008, Chris returned to Mullen & Filippi as an Associate Partner, helping to open and found the Van Nuys office. Chris received his law degree from University of California, Hastings College of Law, San Francisco in 2001, where he was the Notes Editor for the Hastings International & Comparative Law Journal and President of the Intramural Basketball Foundation. In 1997, he earned a Bachelor of Arts in History from Trinity College in Hartford, Connecticut, graduating with honors. Chris is a member of the State Bar of California. I enjoy the practice of workers' compensation law as it allows me to use all of my legal and educational training to solve problems. I get to meet new & interesting people. Working with the Firm and running an office allow me to use my social skills and team building experience to provide excellent results for clients and on a personal level. In 15 years of practice, I have seen the way in which the law has changed radically & rapidly. I look forward to embracing the challenges it provides. I have been very lucky to be able to travel all over the world and our country. I look forward to being able to share that love of travel, history, and new experiences with my children. I grew up an athlete, playing soccer, basketball, golf, and baseball. As a kid, I spent a lot of time at the beach and in the ocean. While not quite as active as I once was, I have enjoyed coaching and playing with my kids, as well cheering them on.